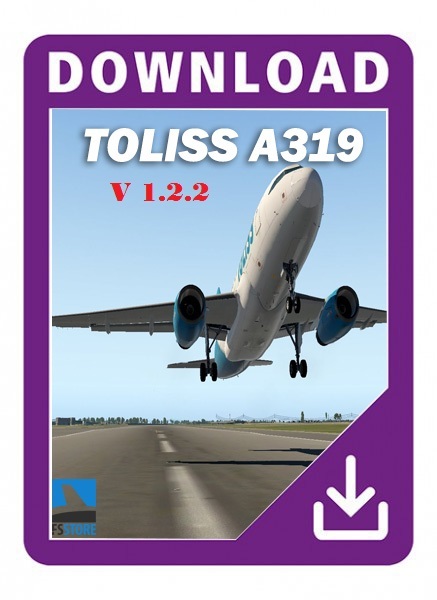 The Airbus A319 by Toliss is a 120-140 seat single-aisle mid-range modern state-of-the-art FBW aircraft with a high focus on detailed system modelling. FMGS with SID/STAR, Airways alternate flight plans, performance prediction, etc. Choice of CFM and IAE engine, and wingtip fences or sharklets. Choices affect aircraft performance and FMGS predictions. Unique feature: Control Surface hinge moment modelling allows the surfaces to float to the appropriate position after loss of all actuators on a surface. Fault injection interface allowing to inject custom selected failures, or randomly selected failure based on fault probabilities. Custom TCAS with resolution advisory function. Custom sounds from Turbine Sound Studios (TSS) included for the CFM engine. IAE engine soundpack available as addon for a small fee. Integrated takeoff performance calculator supporting the use of flex temperature.